Welcome to the Transformation Goddess Divine Feminine Spotlight for June! Today it’ my honor to introduce you to Mary Pritchard. 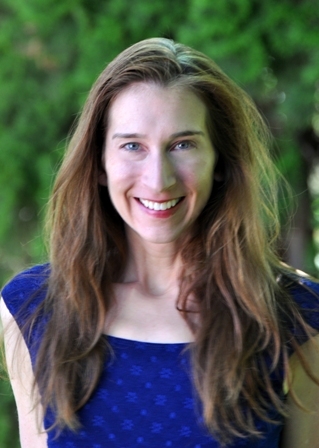 Mary E. Pritchard, Ph.D., is a professor in the Department of Psychology at Boise State University as well as a Holistic Health Counselor and graduate of the esteemed Institute of Integrative Nutrition. Mary’s extensive educational background combined with her personal passion and commitment to empowering women in healing their hormonal health naturally while reclaiming their Feminine Power, empowers her client’s to experience profound shifts in their health. 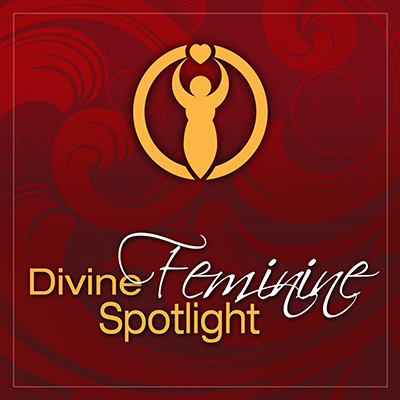 Divine Feminine Spotlight conversations can be enjoyed by clicking on the player below, or easily downloaded to your iPhone or mp3 player via iTunes. Here is a short summary of Mary’s interview. 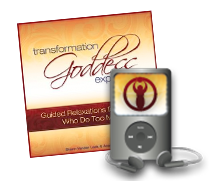 Please give a listen to experience the full energetic connection of our transformational conversation. You are going to love Mary’s magnetic energy. She is lots of fun! My whole life has changed in the past 12 months. I experienced a rude awakening in April of 2013 that led to a new book, a divorce, a move, and breaking my heel for the second time in a year. This is a difficult one for me. I finally admitted to myself earlier this year that I had an eating disorder. I had been in denial for 23 years. I am learning to relate to my body in a whole new way. At the same time, I felt very sexually repressed in my former marriage and my libido disappeared in my 20s. I thought I was broken until it came roaring back to life last Fall! Power is such a loaded word. We usually think of power over rather than power to. I operate from the perspective that power should be all about empowering other people and ourselves. I love taking a sacred bath with essential oils, baking soda, and sea salt. I light my candles and relax. I also love meditating and do so several times a day. This is a way for me to relax, unwind, and connect back in with my inner goddess. 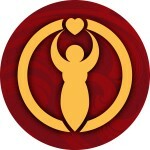 I am a self-love advocate! We have to learn how to be our own best friend rather than our own worst enemy. We should be cheering for ourselves rather than booing. Why? Because others treat you as you treat yourself. If you aren’t owning up to your Goddess power, who will? And how can you expect others to love, honor, and respect you when you don’t love, honor, and respect yourself? I experienced a rude awakening in April of 2013 where I realized that I had been living someone else’s life. Yes, I was successful on the surface, but on the inside I was miserable. I came to realize that I had been ignoring my inner wisdom for too long. The Universe had been trying to wake me up for years, but like a turtle, I kept tucking my head back in and trying to avoid the worst of the signs. It didn’t work. That day I reclaimed my life. That changed everything. If you enjoyed our conversation, Click >> Divine Feminine Spotlight to meet the rest of the goddesses who’ve shared their wisdom in our popular podcast series. 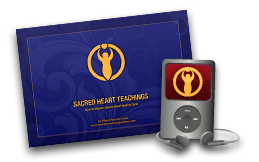 Have you claimed your free guided relaxation and Sacred Heart Healing Cycle Report? Claim this supportive gift now! I LOVE Goddess Mary Pritchard – thank you for sharing her wisdom Shann! My recent transition came as a gentle unfolding over a 5 hour period… the Universe made it very clear it was time for me to shift my work in the world into a new paradigm and platform. Thanks to learning from prior “head hitting” awakenings, I’ve learned to listen carefully to guidance rather than fight it or ignore it. That’s not to say I didn’t have a “say what?” and boo hoo moment. But it didn’t come with the drama and emotional upheaval past awakenings brought. It was pure grace and ease. Letting go and Letting God is not always easy… but I’ve learned to trust the Universe always has a greater plan for me. 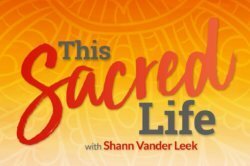 Love your reminders about sacred bathing rituals as well as the importance of Superior Self Care! Your story of “successful on the surface” yet “miserable inside” is oh so familiar and was absolutely a component of my own journey – I have found that as you evolve this experience may spiral around again! Just so you know when you start to “feel miserable inside” that’s a clue that things are ripe for change again! “We have to learn to be our own best friend.” I think this may be *the* lesson underneath so many of the “other” lessons. Thanks for sharing your story. Thank you for such a fantastic interview, Shann, and for sharing your truth, Mary! I’ve been following your words for a few months after coming across you in a previous Linda Joy programme, and am just as inspired now as I was then. It’s so beautiful and connecting to see and hear other women owning their strength, truth and spirit. And so inspiring to see the things I connect with, on a personal level from my own experience, that they’ve been through, too. What a great interview Shann. It is inspiring and honest. Couldn’t we all use more of each of those in the world. I can relate to “the universe trying to wake me up for years” and not allowing it. I applaud you Mary for seeing it and for you both for sharing it. Thank you for shining the spotlight on Mary Pritchard who is a delight! Sharing our vulnerability and the lessons we have learned is so powerful, not only to us, but to those we can share our courage and wisdom with. This was wonderful, delightful, raw and real. I totally get the cosmic 2×4 thing! Sometimes I wait until I have to get slammed to get the message…I’m also in a big transition because the universe nudged, nudged nudged, and this time, I’m not waiting for the WOP in the head! Thank you so much for sharing such a wonderful interview…inspiring.